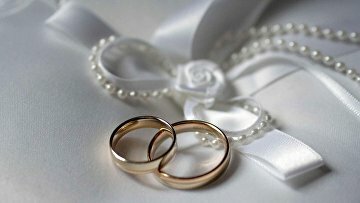 State Duma passes bill counteracting fake marriages with foreigners | Russian Legal Information Agency (RAPSI). MOSCOW, December 19 (RAPSI) – The State Duma has passed in the third and final reading a bill changing temporary stay requirements for the foreigners who happen to be close relatives of Russian citizens. The document counteracts the practice of fake marriages, authors of the bill note. According to the document, a temporary residence permit in Russia without special quotas will be issued to a foreign citizen married to a Russian citizen in the same subject of the Federation where the his or her spouse resides. A similar rule will also apply to foreigners who have parents and children who happen to be Russian citizens. At the same time, these restrictions will not apply to foreign citizens who have received the status of participants in the state program of assistance with the voluntary resettlement of compatriots living abroad. Exceptions can also be made for cases when a given foreigner moves to a new place of residence of his or her Russian spouse, parent or child.